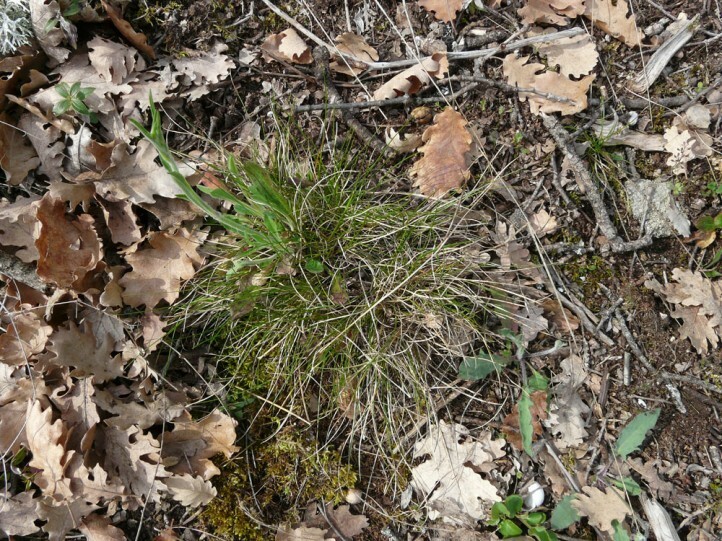 Grasses such as Bromus erectus and Festuca ovina agg. 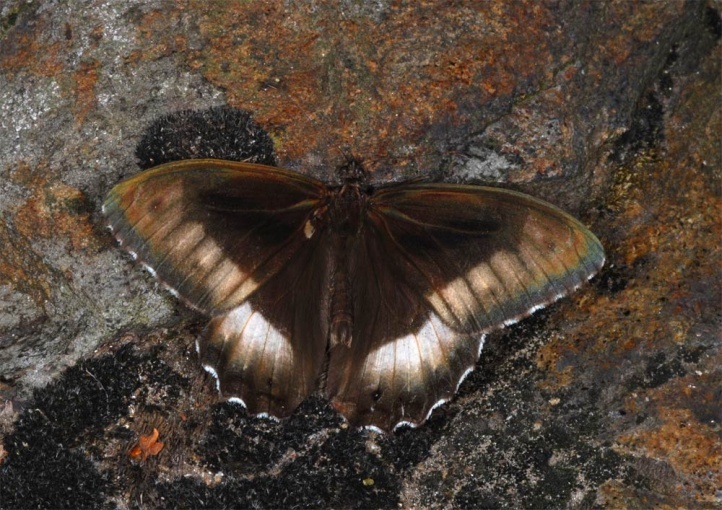 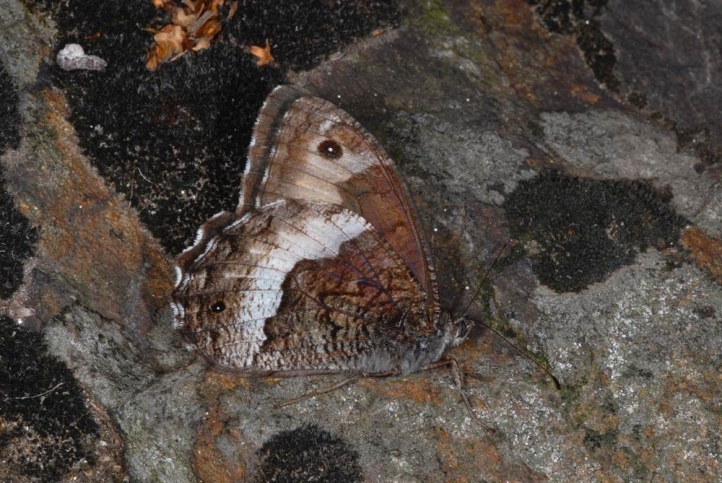 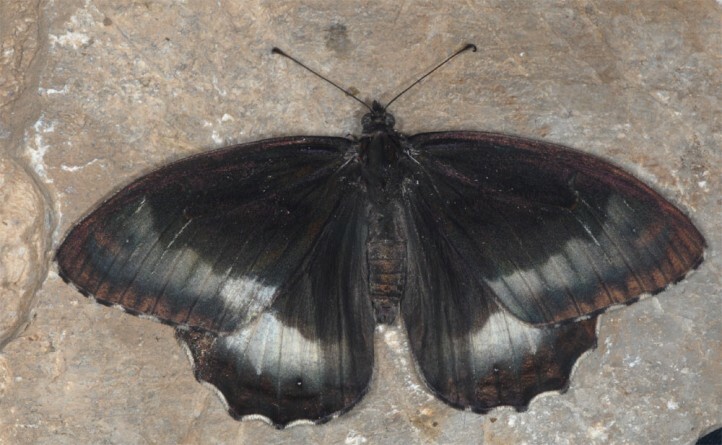 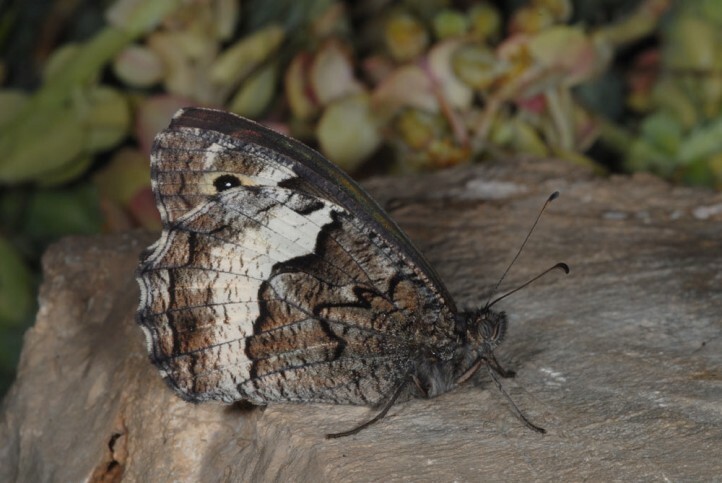 Hipparchia fagi inhabits hot bushland with scattered trees, slopes, sparse oak forests, vineyards (only if traditionally farmed) and other tree-rich habitats. 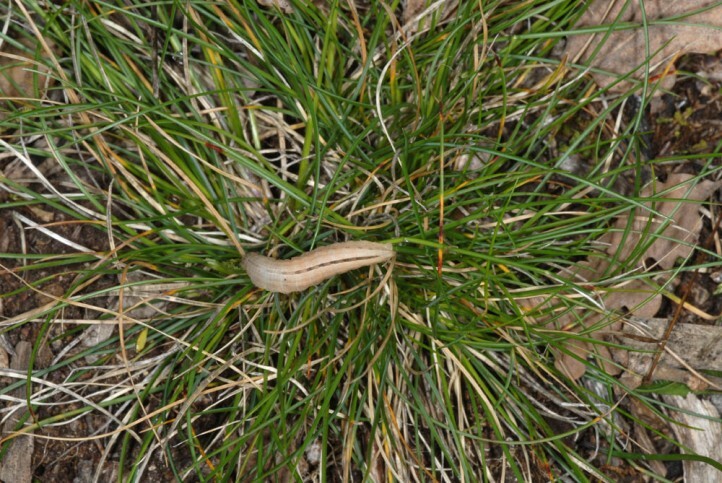 In Germany it is observed only in the warmest locations such as in Kaiserstuhl region. 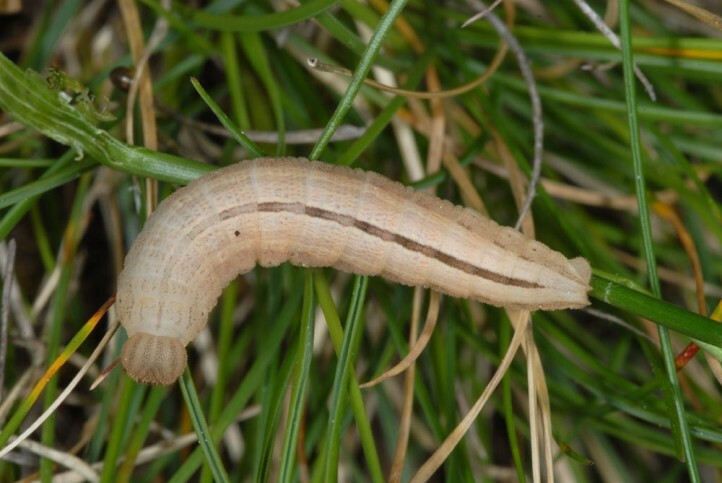 The caterpillar overwinters and the adults are on the wing in July and August, some still in September. 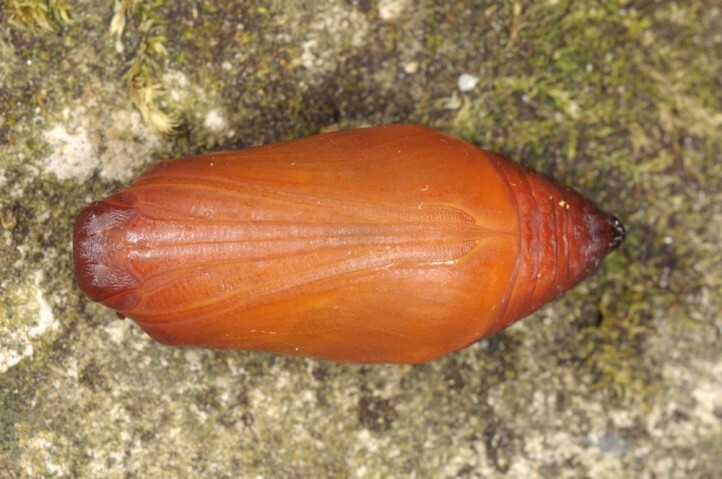 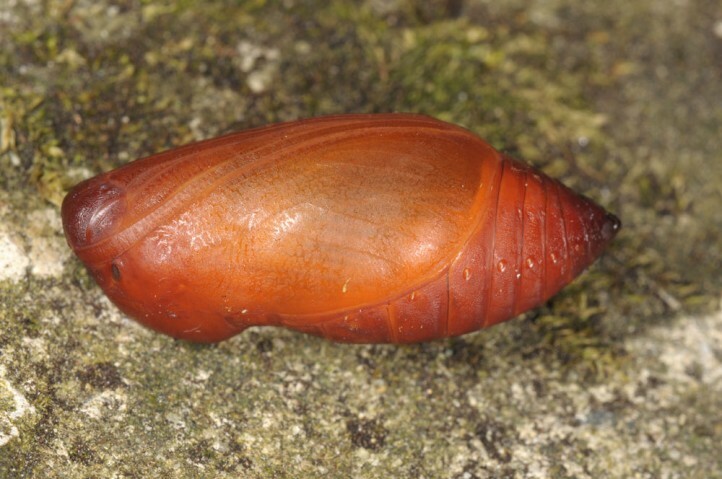 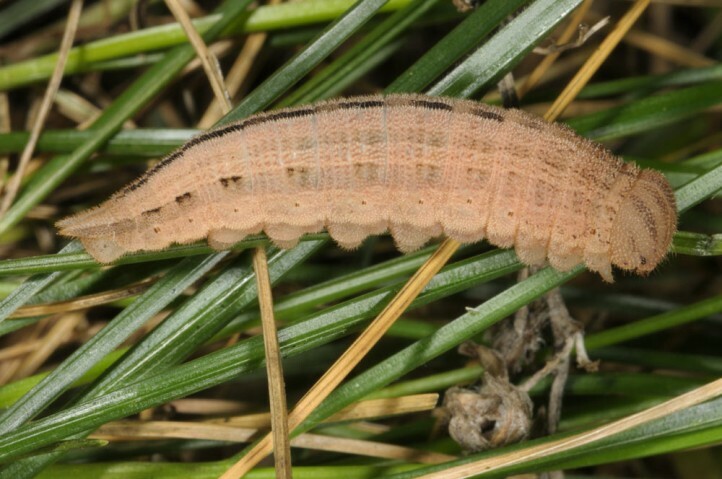 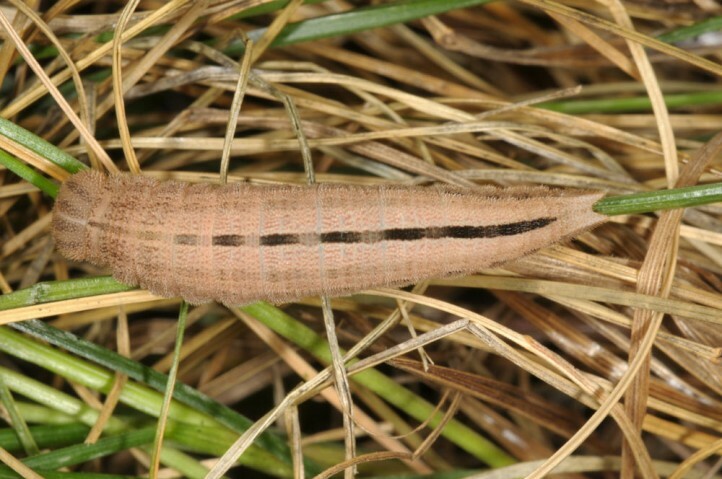 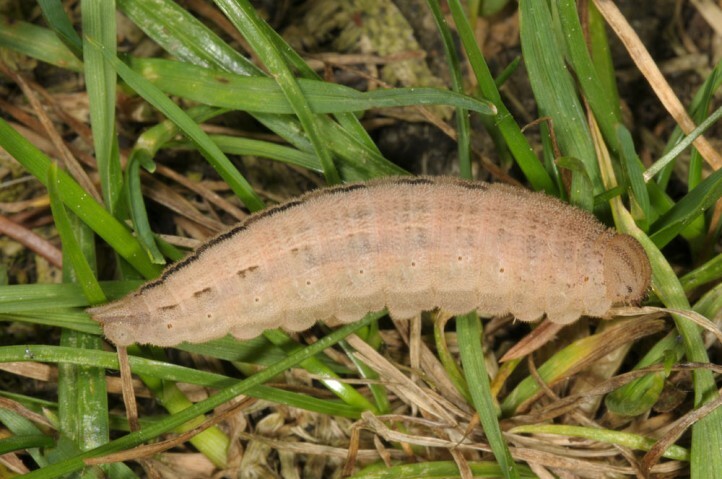 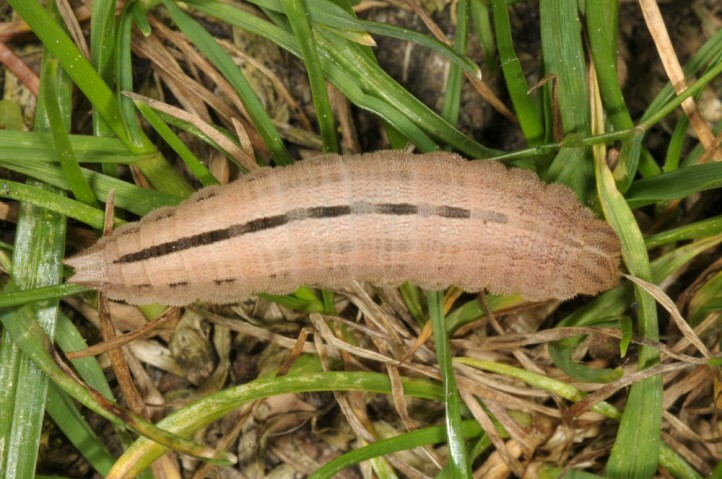 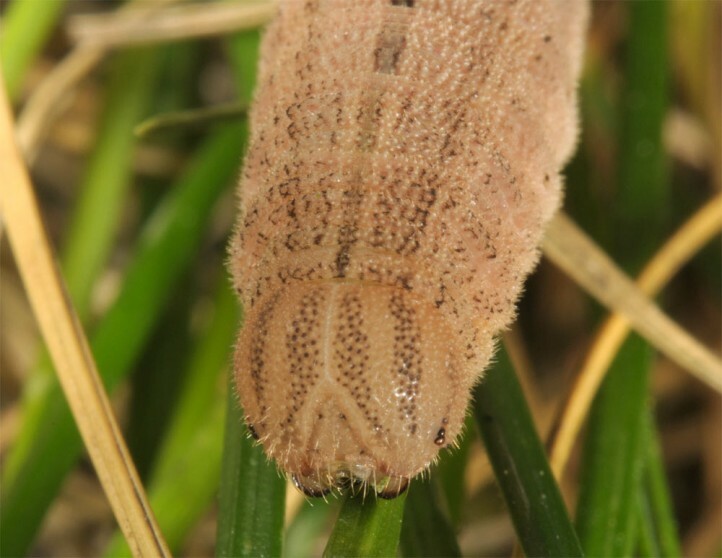 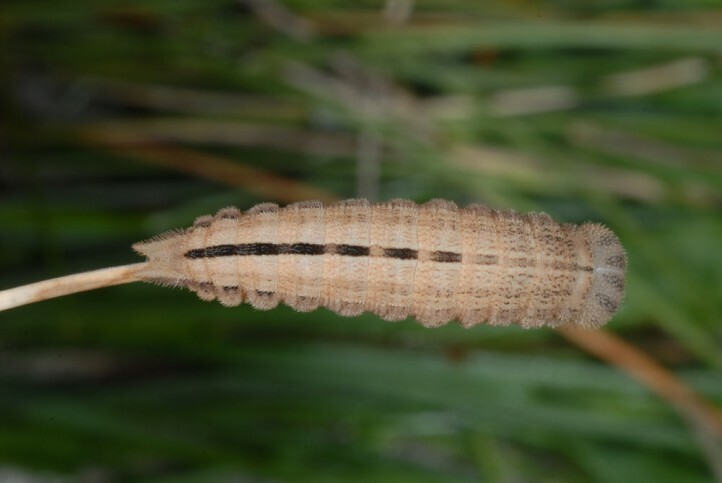 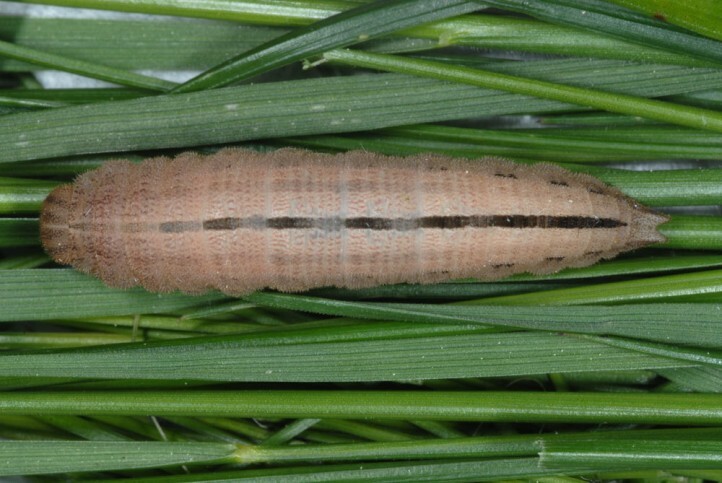 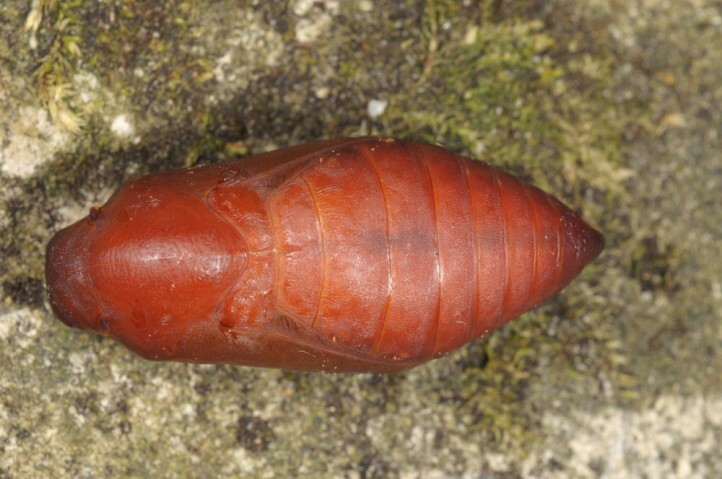 I observed the larva in the end of the penultimate instar around mid April 2013 in the French Luberon (Provence) in an open Quercus pubescens woodland in single tussocks of Festuca ovina agg. 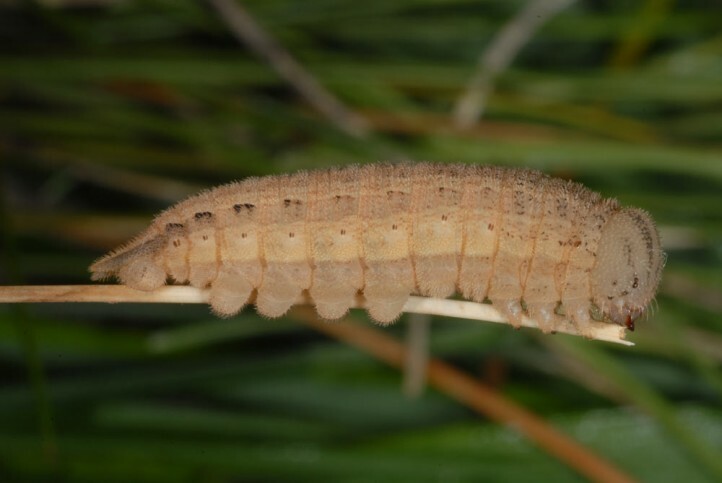 Syntopically I found still much smaller larvae of Arethusana arethusa. 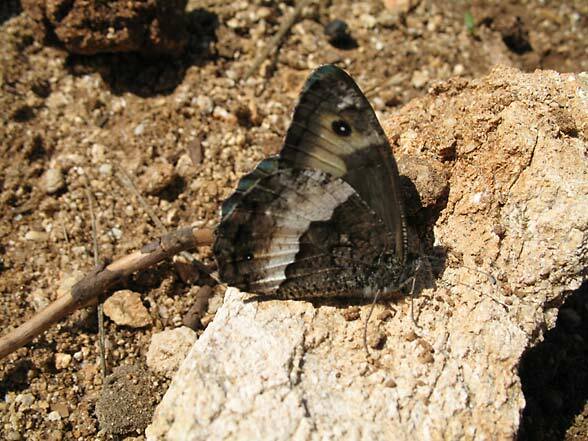 Hipparchia fagi needs a large habitat or a habitat network. 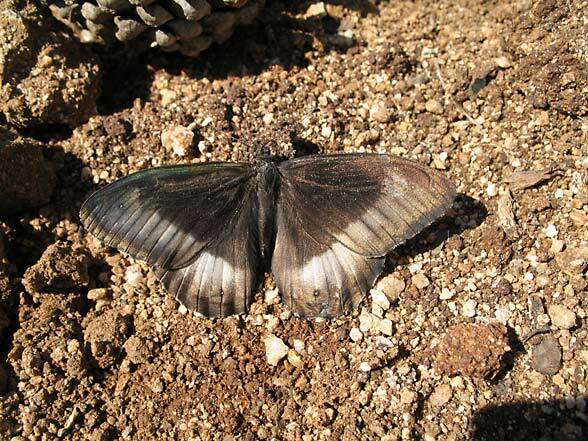 With the decrease in suitable habitats north of the Alps, Hipparchia fagi is threatened with extinction there. 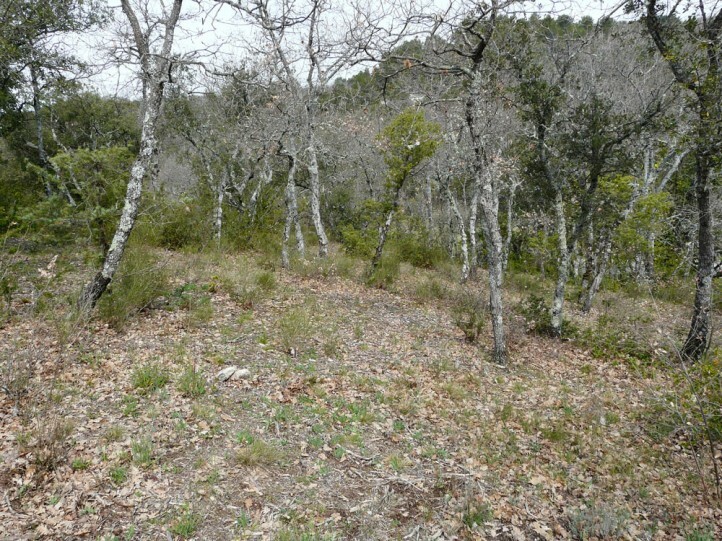 In the south it is still quite common, as for example in Provence. 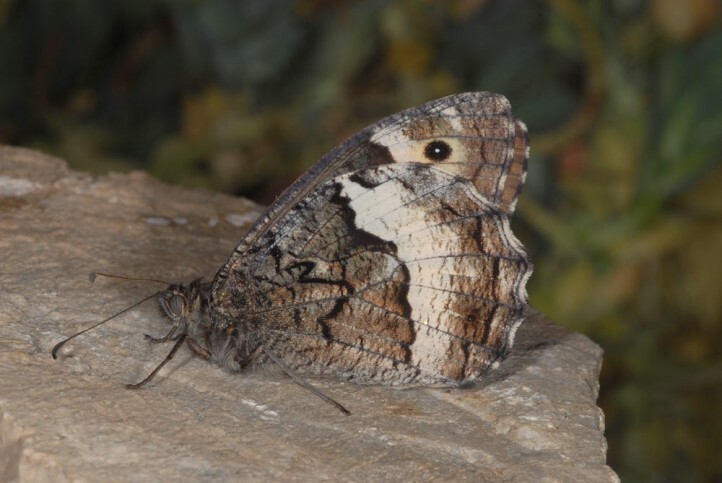 Hipparchia fagi occurs from Northern Spain (southern edge of the Pyrenees) across southern and locally also southern central Europa to Asia (e.g. 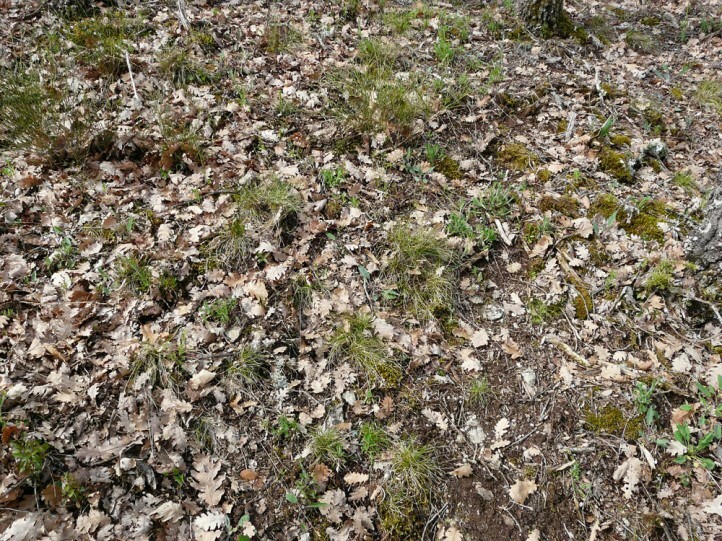 Kazakhstan).